tightening a strap with the WINDLASS SHAFT; it has a cutter attached. MODEL. SHS-3515 / MODEL. SHS-3518 This is a product that packs carton boxes using a carton box stapler. MODEL. SFT-190, 320 / MODEL. EFT-190, 320 The FEEDWHEEL type steel strap tensioner is characterized by its overlapping steel strap. It has to always be used with a waxed steel strap. SFT-190, 320 FEEDWHEEL has been through heat treatment and EFT-190, 320 FEEDWHEEL is made of TUNGSTEN CARBIDE. MODEL. SCU-1000 / MODEL. 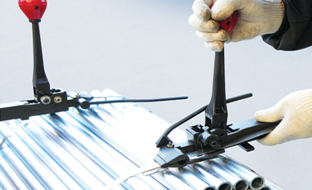 SCU-1000 BLADE This is a cutting tool which the cutter blade can be changed if the blade is damaged. 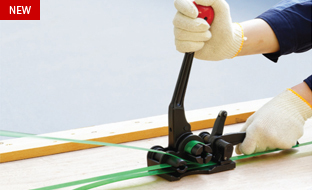 The cutter blade can be purchased separately. Compared to the SCU-1350, it can cut thicker steel straps. MODEL. 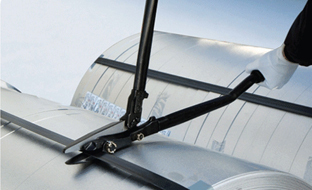 PFS-16 / PFS-19	This is a FRONT ACTION TYPE SEALER that can provide a strong sealing for a PET STRAP. 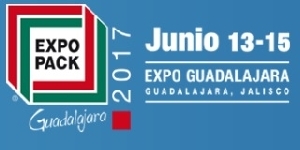 PACK EXPO GUADALAJAR.. 13 - 15 JUN 2017 / GUADALAJARA, MEX..
INTERPACK 2017 04 -10 MAY 2017 / DUSSELDORF, GERMANY .. 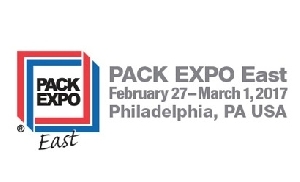 PACK EXPO EAST 2017 27 FEB - 1 MAR 2017 / PHILADELPHIA, PA, ..